Angling Open Day 2019 at Gladwells Pet and Country Store Copdock. 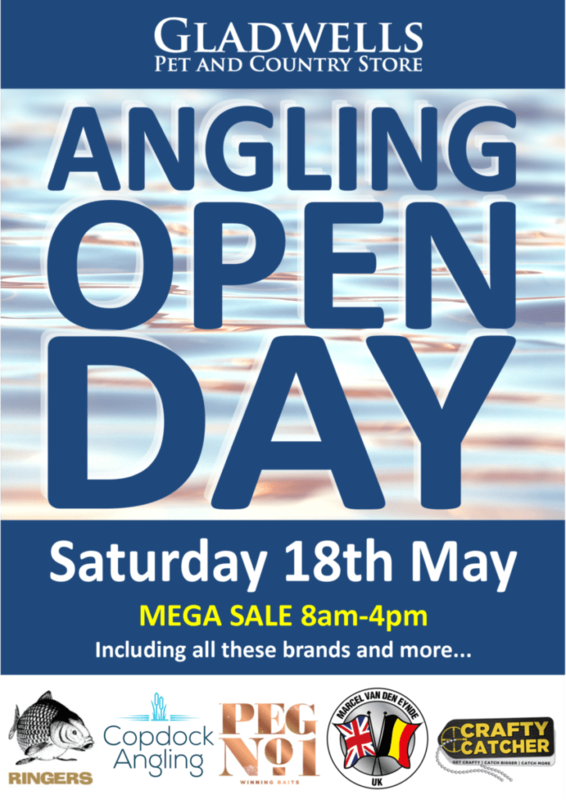 On Saturday 18th May the store is hosting an all-about fishing open day! The day will offer a MEGA SALE from 8am-4pm. Brands such as Ringers, Copdock Angling, Crafty Catcher and Marcel Van Den Eynde will all be on site with show deals and advice. The stalls we be accompanied by food grilled by G.Debman Butchers, Cats Protection and even a pet portrait artist.